I’ve been setting up my machine for a new project and part of this set up was VMware Workstation installation (VMware-workstation-4.5.2-8848.exe). After the installation I realised that I had VMware Player installed previously and it looked like an unnecessary waste of space on my nearly full drive C: (don’t ask me why our corporate standard don’t provide enough space on drive C:) There is goes – uninstall. It appears that some crucial parts of VMware Workstation set up were removed during the uninstallation of VMware Player and as a result VMware Workstation stopped working. Sounds trivial? However, VMware installation programs are not fun. Repair installation failed because it failed to find parts of installation which it was about to delete (!!!!!!!). Uninstall didn’t work for the very same reason and new install didn’t work because existing version was still there. Catch-22. Deadlock! Now that I mentioned my Dopod d810, I decided it’d be great to share few things about software I use and recommend to any user of a smartphone under Windows Mobile 6. Spb Mobile Shell. It’s a surprisingly good piece of software that changes your screen totally. I really like Now screen that pops up every time I switch the phone on. It gives an instant view of what’s on. Spb GPRS Monitor. My phone supports HSDPA, I get really fast Internet connection on it, so I can easily get carried away with browsing and, potentially, downloading more than my provider’s 500MB per month limit. This little app does exactly what I need – it shows usage stats and warns me if my usage approaches the limit or goes over it. TomTom Navigator. This app saved us a number of times during our latest trip to Europe. Now with GPS built-in, it’s a definite install. Skype. My provider offers 1000 minutes of fre Skype-to-Skype calls per month. Why not call for free? eWallet. Smartphones are great because you can carry lots of information with you. However, some of that information is commercially sensitive or private and I can’t risk loosing it if I loose my phone. eWallet helps me keep my private info on the phone due to its 256-bit RC4 encryption. It also syncs with its desktop version, so I keep two copies of the info and can easily recover from loss of one copy. Total Commander. I use Windows version of Total Commander for over 10 years, so it’s natural for me to use its Windows Mobile version. It has a number of advantages over standard File Explorer. For example, FTP client, registry editor, Zip/UnZip, etc. It’s free too. CHM eBookReader. Allows reading eBooks in CHM (Windows Help file format). 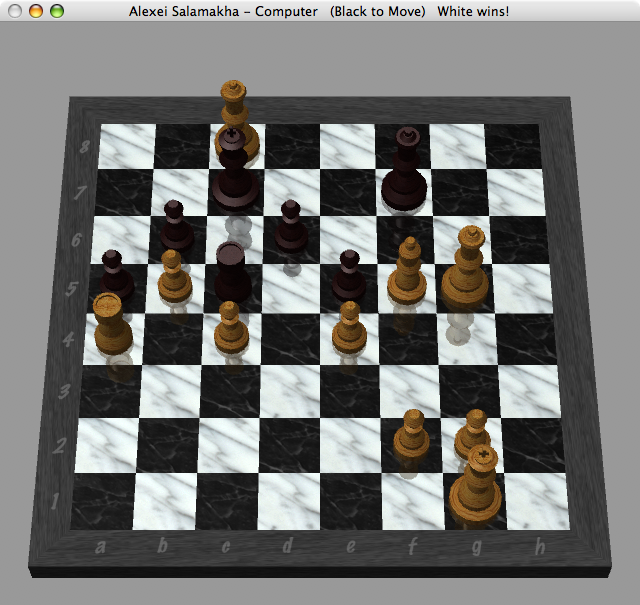 CHM is the best format for eBooks and this app makes it even better. HAALI Reader. Some books are available in plain Text format. HAALI Reader is the best and free app for reading this kind of books. Check Project Gutenberg site for some 1700 free books. These apps will cover pretty much everything. If you have any other apps worth mentioning, please share with me. With my beloved HP rw6828 being sent back to HP for refund, I started to look around for its replacement. The choice is obvious: Dopod d810 is pretty much the best phone on the market. 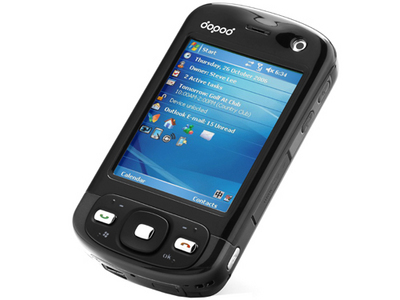 It has every single feature you may need – 3G, HSDPA, Bluetooth 2.0, Wi-Fi, built-in GPS, easy buttons navigation, scroll wheel and it has constant attention from Dopod. Recently Windows Mobile 6.0 have been released for Dopod d810. Battery lasts for about 2-3-4 days, depending on usage. I read e-books on mine, as well as browse Internet a bit,use Google Reader actively use to-do list and contacts, make calls over Skype, use TomTom and Google Maps for directions, etc. I’m yet to try video calls, can’t comments on this feature. However, there are few things to complain about. GPS sensitivity isn’t great comparing to my Bluetooth GPS BT-338. Also its shiny black case is a fingerprint magnet. But overall it’s a very, very, very good phone that covers all needs of an IT professional or any busy person with lots of contacts. Highly recommended! I’ve got a Macbook Pro few days ago and installed Vista on it. The install under BootCamp was a breeze – I’ve burned a CD with drivers for Vista, then installed Vista and then installed drivers’ CD, auto-run, reboot, all working. Not a single glitch! Even Apple remote works! I’ve spent a great deal of time reading up on the Internet about it and had a number of concerns. Lots of people said they overheat, that their screens are not that good, that one-button touchpads are very uneasy to use for Windows users, it’s fans are noisy under Vista, that keyboard layout is weird, etc. It all false from my point of view. My Macbook Pro doesn’t generate significant heat, it’s one of the quietest laptops I’ve seen and used in my life, single-button touchpads are great with two-finger clicks (actually, I think it’s a better way of navigating because it’s much easier to put a second finger on a touchpad and use thumb to click that to move your thumb towards right touchpad button in regular laptops) and the screen is pretty good, on par with Sony Vaio screens. The only “weak” point of Macbook Pro from Windows guy’s point of view is its keyboard – it’s slightly off comparing to a regular Windows keyboard. However, BootCamp does a good job of mapping most of the keys accordingly with the exception of right Enter key (what’s the use of it? 🙂 ). It’s also weird to make screenshots with Fn+F11 and press Fn+Delete for Del. I can potentially map right Enter as a Del key, but couldn’t be bothered, really. I got used to it within first couple of days and that’s says a lot because I’m very particular about my keyboards. Would I recommend Macbook Pro to a Windows programmer like myself? ABSOLUTELY! It’s a fine machine, good build quality, nice design, great performance, very easy to set up both OS X (literally 5 minutes) and Windows Vista. You can run it as a dual boot machine and get the best of both worlds. Recently I had a task to return rows from a SQL Server database in random order. After several attempts to blog, I’ve decided to give it another go 🙂 Will stick to technical stuff as much as possible though.